Valkyria Chronicles was without a doubt one of the best JRPGs of the PS3, generation and arguably one of the most charming examples of the genre, ever. When it launched back in 2008, it was almost criminally thrown into the western market with a limited number of copies and without the promotion it deserved. As a result, it remained bound to the role of a cult rarity that too many did not know about, or only hear about from friends that happened to manage to grab a copy. The release exclusively on PSP of Valkyria Chronicles II and the absolutely unforgivable lack of a western release of Valkyria Chronicles 3 (which many, with reason, consider the best of the series despite the limitations enforced by its portable platform) certainly did not help. Luckily, the Steam release in 2014 brought the game back under the spotlight, and finally Sega seems to have had a moment of divine inspiration, and realized the obvious fact that they have an awesome franchise in their library, bringing the game in remastered form to PS4, in preparation for the reboot of the series with Valkyria: Azure Revolution. 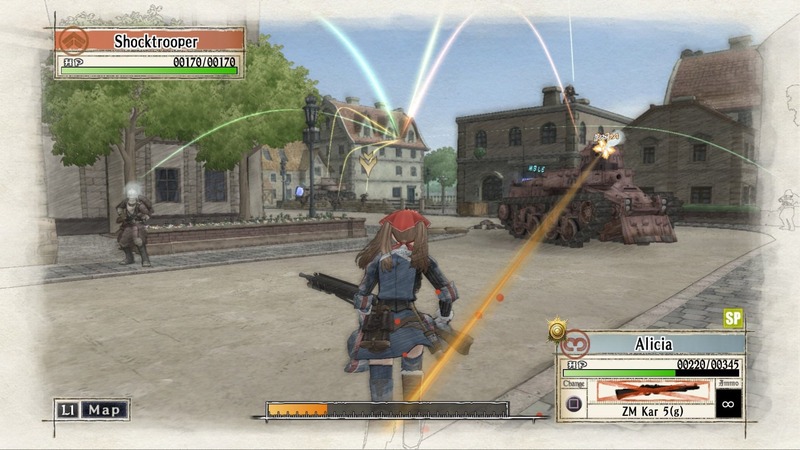 Valkyria Chronicles is set in an alternate history scenario influenced by both World War I and World War II. The Continent of Europa is ravaged by the Second Europan War between the East Europan Imperial Alliance and the Atlantic Federation. Stuck in the middle between those two superpowers is the Principality of Gallia, small in influence and territorial value, but important strategically due to its rich deposits of Ragnite, an extremely precious mineral used as fuel for basically every kind of machinery. Emboldened by its victories against the Federation, the Empire sets its sights on neutral Gallia, and begins an invasion that drags the smaller country into the maelstrom of war. After Imperial forces strike on the small border town of Bruhl, protagonists Weklin Gunther and Alicia Melchiott, alongside Welkin’s adopted sister Isara, are displaced from their home, and instead of joining the increasing number of refugees, they decide to enlist in the Gallian militia to fight against the invader. 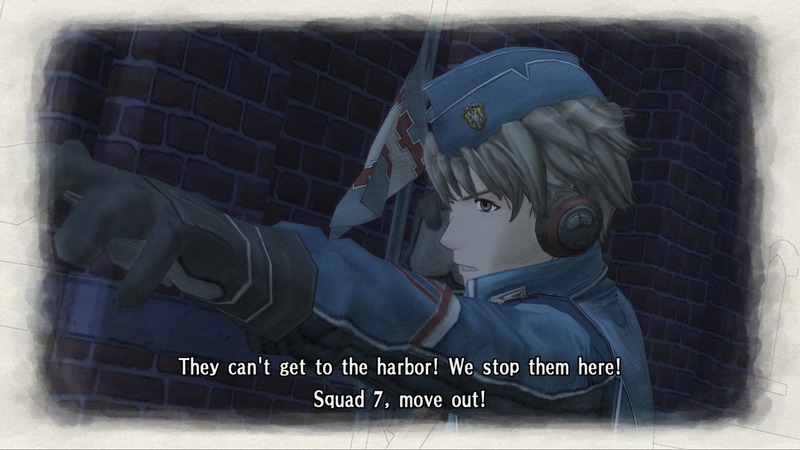 Welkin, who is the son of a famous general from the First Europan War and had a military education, is put in command of a newly formed squad of the Militia — Squad 7 — While Alicia (who had experience in Bruhl’s town watch) becomes his sergeant. Isara also joins as the driver of Weklin father’s tank, the Edelweiss. The story is apparently quite simple, but it’s told in an absolutely charming way, with some of the most interesting and likable characters of the history of the genre. Themes like sacrifice, honor, discrimination, genocide and more are deeply entrenched within the narration, and even imperial enemies are given great depth. 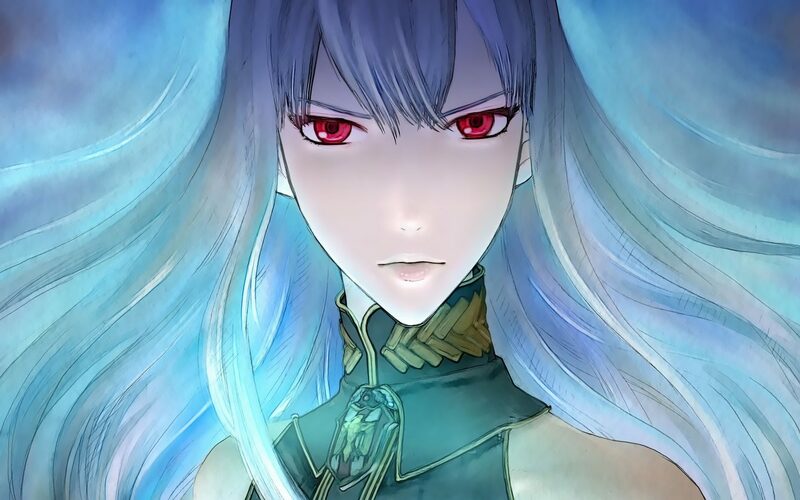 One of the main antagonists, Selvaria Bles, is probably the most popular and loved character of the game (and one of my favorites of all time), and that says a lot about how great the cast as a whole is. 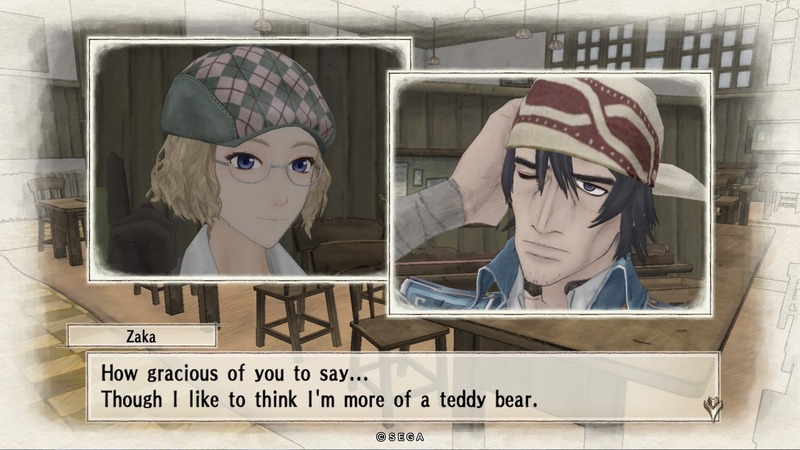 While I won’t spoil specific story moments, Valkyria Chronicles does not have any qualms in alternating moments of levity to ruthlessly heartbreaking events that fit well into the cruel scenario of an all-out war. If you’re not insensitive, be prepared to cry. 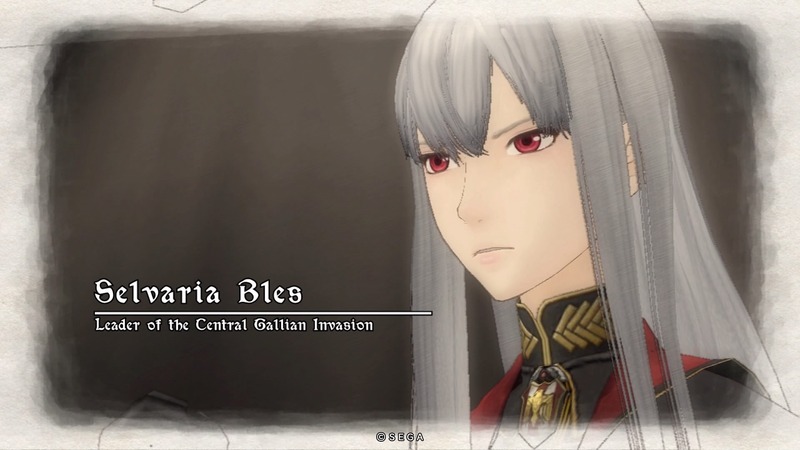 To put it down simply, Valkyria Chronicles comes equipped with one of the best combinations between story and characters produced by the gaming industry since… ever, and given that it’s a JRPG, which is a genre that relies very heavily on those two elements, this is one of the main reasons behind the score you probably already glimpsed at the top of the page. The game’s visuals aged very well since 2008, even thanks to the remastering work that upped the resolution to 1080p, and to the silky smooth 60 FPS performance. What really shines, though, it’s the combination of the Canvas engine and the unique and absolutely lovely art style, designed to resemble a watercolor painting. This means that, while we aren’t looking at a technological marvel made of enormous polygon counts and super-detailed textures paired with realistic effects, the charming art direction makes up for it, creating a game that is definitely pleasant to the eyes. Unfortunately cutscenes aren’t in-engine (while they’re designed to look exactly like it), so they didn’t benefit as much as the gameplay from the improvement in resolution. Mechanical design is one of the game’s high points, especially for tanks. 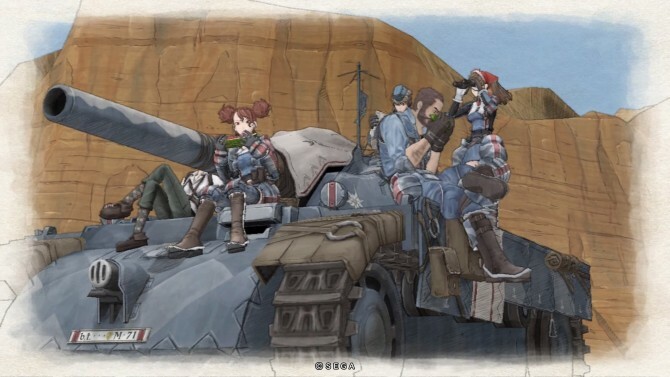 Concept artists managed to create armored vehicles that are close enough to their real world counterparts to feel believable, but they retain a distinctive style that gives the Valkyria Chronicles setting its own distinctive flavor. Audio is also top-notch, with a caveat: The soundtrack is fantastic, with tunes that go from epic to somber, underlining the story near-perfectly. The Japanese voice acting is also on par with what you’ll expect from some of the best games coming from the archipelago of the rising sun, with perfectly spot-on distribution of voices, and spotless delivery of basically every line. Unfortunately, this also brings us to one of the flaws of the game, or better, of the western version of the game. Not only the beautiful theme song has been yanked off from the introduction, but the English voice acting is pretty much at the mediocre levels that you can expect from low-budget JRPGs, with distribution of many roles that really doesn’t match the original, and delivery that often feels forced and artificial. Localization is also quite flawed, suffering from the widespread problem that comes from the inability to find a good balance between the original dialogue and making it sound elegant in English. The result is that quite a few characters simply don’t express themselves as they should, changing their behavior rather radically. A relevant example is Isara: in the original script she’s shy and formal, but also more ladylike than the usual girl her age. She always talks with a great deal of respect, especially to her brother, due to her upbringing as the Darcsen (dark-haired people often despised by the general population) adoptive daughter of a general. Her original behavior well balances her situation within her new family and having been a target for discrimination all her life. In the English localization, she’s a lot more outspoken and easy-going, reaching as far as calling Welkin with a very familiar (and absolutely cringe-worthy) “Welks” which couldn’t be more detached from the original Isara. Luckily, dual audio allows you to phase out the English voices and stick with the Japanese ones, even if basic knowledge of the language will let you feel a quite disturbing dissonance between audio and subtitles. This isn’t enough to ruin the experience, and there are certainly much worse localizations around (even with games with much higher budgets), but this is a game the charm of which is strongly based on its cast, and those characters are simply better portrayed in the original script and voice acting. Basic gameplay is a mix of turn-based strategy JRPG action with just the smallest hint of third person shooter. At the beginning of every turn, you’re given a number of command points, that you can use to freely move each character and shoot once. There are no squares or hexagons, but instead your movement allowance is determined by a gauge that decreases gradually. This allows for much deeper tactical gameplay, where moving an inch further or taking a slightly different vector of approach can make all the difference between taking a safe shot or being obliterated by a tank’s machine gun. Once you’re ready to fire, you’ll have to manually aim as in a third person shooter (even if time is frozen, so you can be at ease), and decide if to try for a headshot or a safer but much less effective body shot. A rather original and very well implemented element is the fact that you aren’t limited to moving each soldier once per turn. If you want, you can use all of your CP on a single unit, but its movement allowance will be lower each time it moves within the same turn. This introduces a nice risk and reward mechanic where you can push forward your troops by themselves in a fast blitz to conquer an advantageous position, but this may leave them overextended and vulnerable due to lack of fire support. On the other hand, you can opt to advance your squad more gradually and holding a more solid line. This will allow your soldiers to support each other, but will slow you down and possibly give the enemy more time to recover from its losses. Incidentally, enemies will shoot at your character as it moves, so the more you focus on the same soldier, the more damage he’ll take over time if he happens to cross somene’s line of sight. Further tactical depth is provided by a well balanced variety of troops split in different classes with different specializations and weapons, and by the fact that each soldier that you can recruit for your squad is actually a specific character with personal stats, strengths, weakness and even people he likes performing better in their proximity. Between each battle you’ll also be able to get a taste of life in Gallia by interacting with several key characters at the militia headquarters and in the capital of Randgriz. On top of that, you’ll also be given a chance to spend the experience and money earned during missions to level up each class of soldiers and research new weapons to improve your equipment and your tanks. One of the most charming aspects of Valkyria Chronicles is certainly the ability to truly customize Squad 7 to your taste. Depending on how you like to play, there are plenty of options to create your own interpretation of your platoon, and min-maxers will have a field day with picking just the right soldier for every role. Variety between missions is very wide: not only you’ll fight in many different environments, but you’ll also find yourself in radically diverse tactical situations: you’ll sortie from trench to trench, face tank divisions, besiege fortresses, and even fight enormous experimental superweapons. This is a Japanese game, after all. There is one relevant flaw, and it’s related to how your performance is scored: after every mission, you will receive a rank from A to D depending on how well you did. Unfortunately, that rank depends exclusively on how fast you completed the mission in turns. This means that no matter how many enemies you kill, how well you protect your troops, or any other factor that actually matters in a battle, the game will give you a pat in the back (and a lot more experience and money) only if you have been fast. This literally flies in the face of any logical concept of strategy, forcing you to either rush your missions (radically impacting enjoyment) or to have to grind more to get an equivalent progression for your troops and weapons. 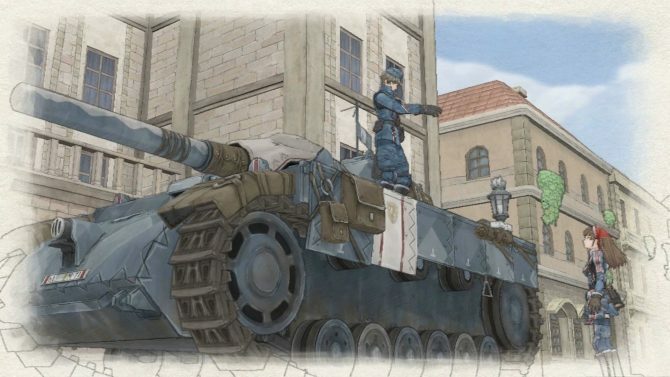 The way missions are scored remains to this day my only real gripe with the Valkyria Chronicles series, and I personally advise to completely ignore the ranking system, do more skirmishes to compensate, and just play the missions as you see fit. You’ll enjoy the game a lot more. 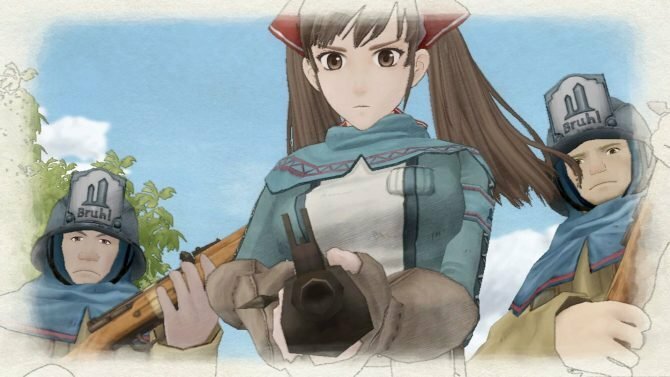 Speedrunning strategy JRPGs simply isn’t all that fun, and the moment you break free of the impulse to achieve those A-ranks, you finally get to taste the full potential of Valkyria Chronicles‘ deep and enjoyable tactical gameplay. 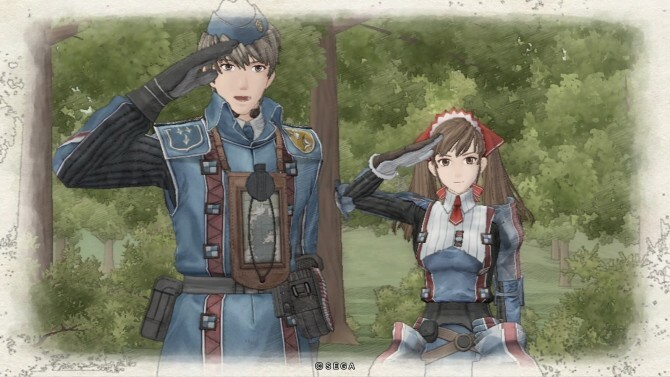 Ultimately, Valkyria Chronicles isn’t a perfect game, but the value of its story, its charming characters, the beautiful art style, and the deep tactical gameplay make it one of the best JRPGs ever released. This remaster adds slightly improved graphics and frame rate, trophies, and the bells and whistles coming with a modern console release. 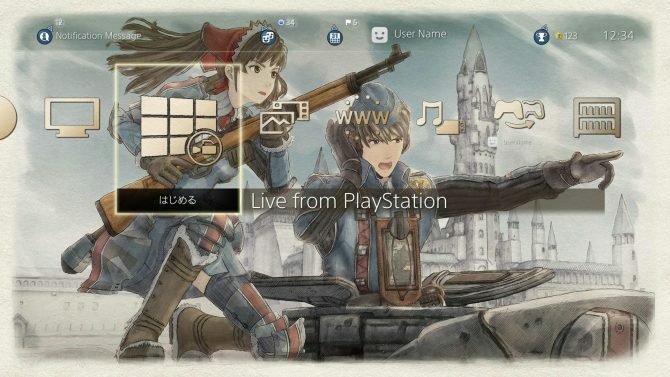 Arguably, this isn’t an enormous change, but the original game was already a masterpiece on its own, and Valkyria Chronicles Remastered brings back all that charm. What’s not to love?